Thirty Oregon Wines in Thirty Days: Day 6! | the wine snob. Thirty Oregon Wines in Thirty Days: Day 6! What shall we do on day six? Take a break from some of the more hard to find grapes and drink some durn Pinot Blanc. How ’bout it? 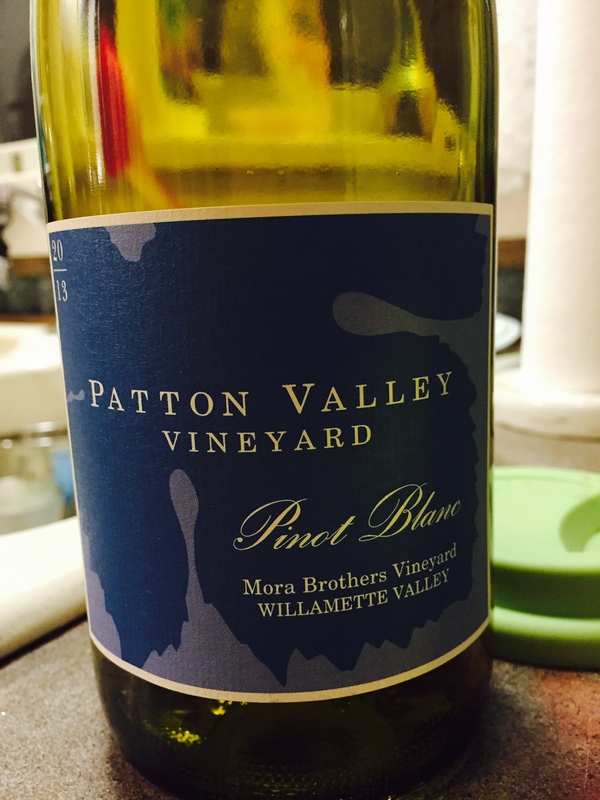 The Patton Valley Vineyard Pinot Blanc, 2013 Mora Brothers Vineyard is a delightful rendition. Hands down, Pinot Blanc is one of my favorite white Oregon grapes. Why? On average, they cost you a few more bucks than your run of the mill Pinot Gris, but those few bucks are so crucial. I will gladly extoll the virtues of Pinot Gris any day of the week, but to me a really nice Pinot Blanc brings a lot more to the table for that modest couple extra dollars you spend on it. What strikes me about Pinot Blanc is always the minerality. I read somewhere that minerality can be a tough thing to really explain and clearly delineate. What do minerals taste like? No one eats minerals. So why describe a wine as minerally? For me it can often be more of a sensation; a pleasant little tingle on the tongue that stays with you. If you think about it logistically, minerals are found in soil; that much is simple. So a wine may have more minerality if it comes from a certain soil, or is made in a way that highlights the mineral tendencies (concrete, as an example, tends to do this). Another thing you might notice is that a “minerally” wine might make you salivate just a little. I really like that; I like for wine to leave my tastebuds wanting more. They also make great food pairing wines. In any case, I find Pinot Blanc to be just slightly more intriguing than Gris, and this one is no exception. It opens with delicacy; soft and floral. Accents of white peach, lime zest, green apple, Sleepytime tea, pears and clean white sheets. That sounds funny, but this wine really does remind me of freshly hung white sheets, billowing in the sunshine on a clothesline. That is one of my favorite things to smell, I should add. Blanc often has some distinct nutty aromas- I get a touch of faint almond here, but overall this wine sticks with the clean, bright fruit and freshy freshness. Just 158 cases were made, and the 2013 is the first vineyard-designate vintage for this wine. The day I went to Patton Valley was absolutely gorgeous. The northern Willamette, towards Gaston, is home to a couple of my favorite wineries. I had a really great experience in their tasting room, too; it was a quiet Friday and I was the only one there, but the associate (she may also manage the wine club? I can’t recall…) Talia, was really welcoming and we had ourselves a nice chat. I’m not 100% sure that’s how you spell her name. Plus I’m horrible with names, but I’m almost 100% sure that was her name. I’m truly sorry if its not. They were tasting a lot of 2011 Pinot Noirs that day, too, and it was a treat. 2011 is becoming one of my favorite vintages for Pinot Noir. I guess I’m just a cold year dork like that. 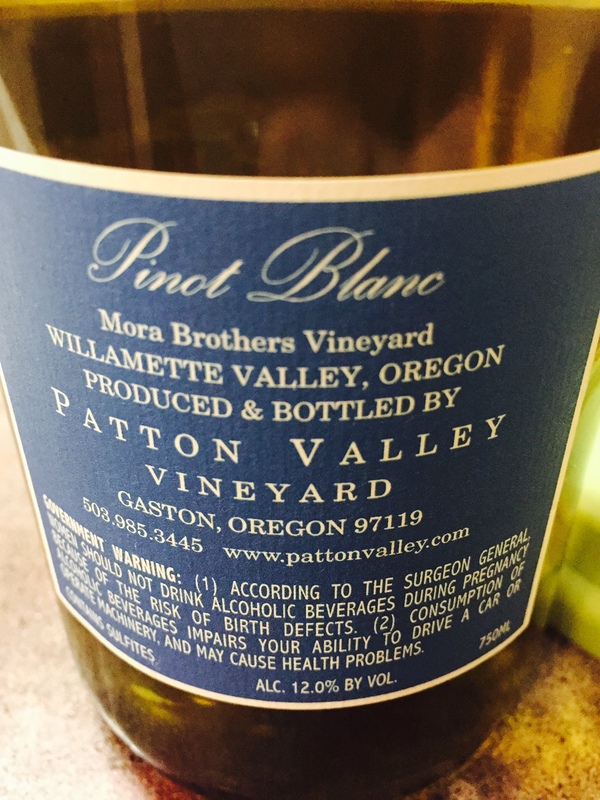 CAN’T WAIT to get my hands on some of the Patton Valley Rosé of Pinot Noir when it comes out. Squeeeeeee. That concludes Day 6! I’m still having fun! Are you? This wine was purchased at the Patton Valley Vineyard Tasting Room for $20. A freakin’ steal. ← Thirty Oregon Wines in Thirty Days: day 5! Fun with DePonte. Thank you so much for the glowing review of our wines. I love the fresh linens descriptor. You did get Talia’s name right, so rest assured. I’m in fact a Ms, but that is quite alright. Glad to hear I still have a few remaining brain cells and got Talia’s name right! Cheers!